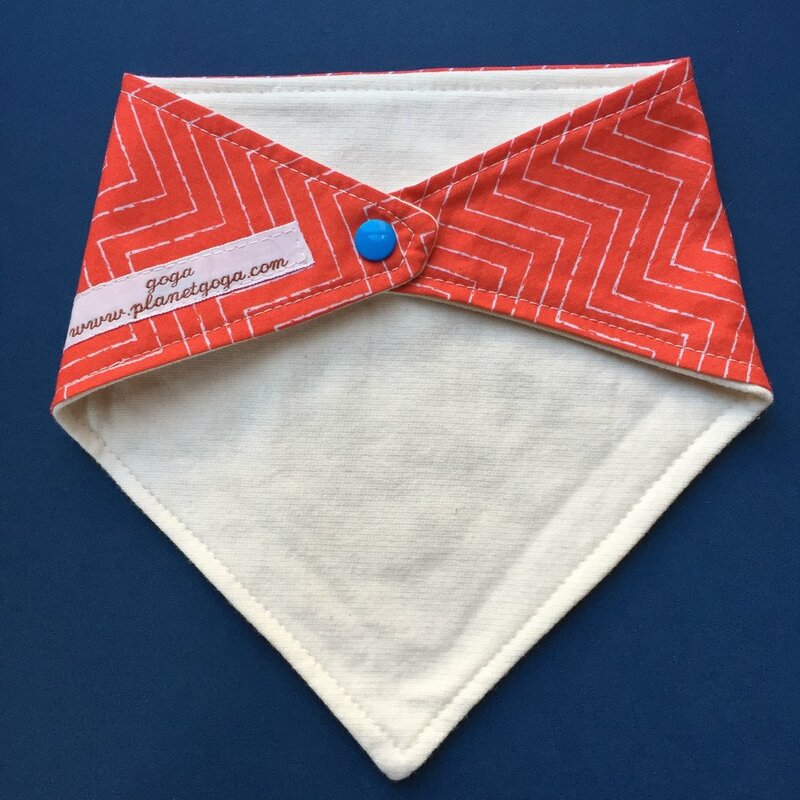 Silvery chevron lines on brilliant blue and a vivid red, as a set of 3 organic kerchief bibs with two snap settings to grow with the child. 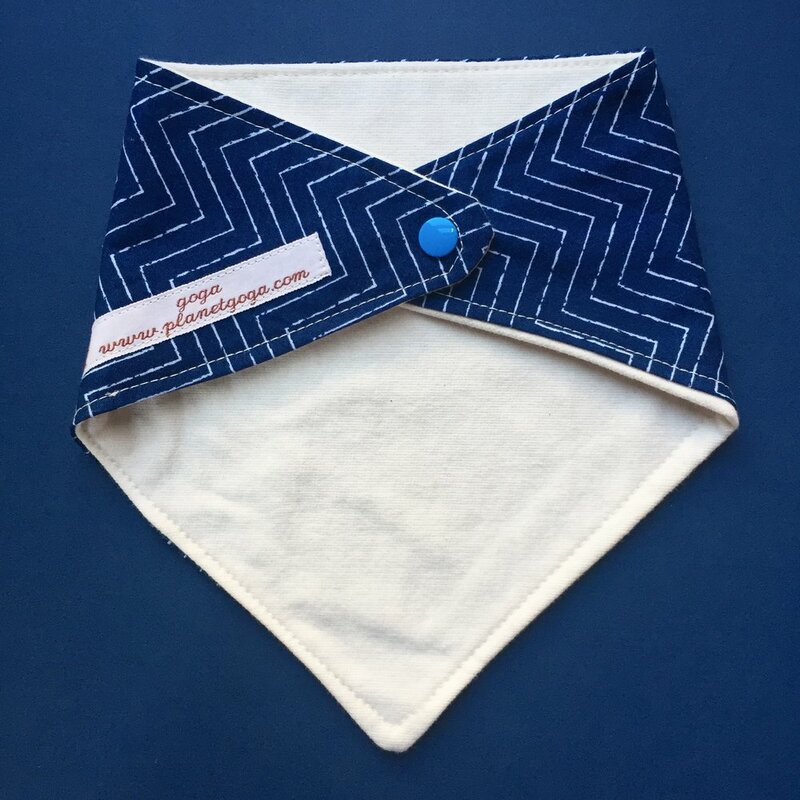 Because there is two prints in a set of three bibs, you might get more red chevron or you might get deep blue. 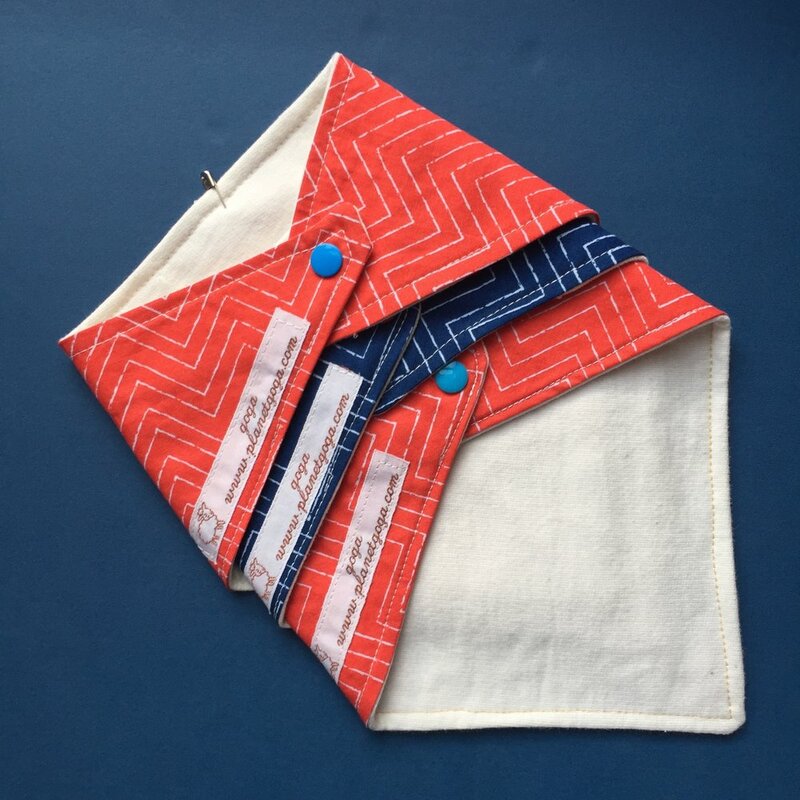 You can note in the order which is you preference; we will accommodate if we are able. Thanks for your flexibility!